For the past seven years, Mary Corry has been working as the Coordinator of Allied Health at Olney Central College in Onley, Illinois. She has organized, conducted, and facilitated over 30 nursing education workshops on various healthcare topics. In 2014, she was promoted to the CNA Program Coordinator for all four community colleges in the Illinois Eastern Community Colleges District. Since 2011 she has served on the Illinois Department of Public Health Basic Nursing Assistant Advisory Committee. 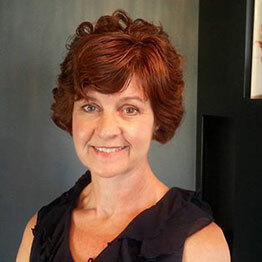 Mary has been a speaker at the State CNA Educators Conferences and has lectured on Age Management and Restorative Care. She presented and moderated for a Wellness Symposium in West Virginia in the summer of 2014. Mary Corry joined the Age Management Medicine Group and completed her Certification in Essential Knowledge in Age Management Medicine in January of 2015. She received her Bachelor of Science Degree in Nursing from Indiana State University and has been certified as a Personal Trainer through the American Council on Exercise for over 10 years. Mary’s passion is to teach lifestyle modification.